Coaches Wanderlei Silva and Chael Sonnen lead 16 middleweights and 16 heavyweights towards their goal of a six figure contract in the UFC and the title of The Ultimate Fighter Brazil. 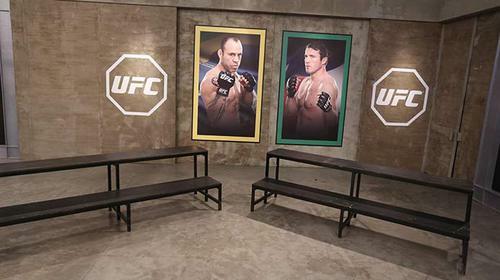 TUF Brazil Episode 301 Mar 15, 2014 (44:22) Kicking off the third season of The Ultimate Fighter Brazil are coaches Wanderlei Silva and Chael Sonnen, some of the fiercest fighters in mixed martial arts who also thrive on rivalry . The preliminary bouts begin as the competitors fight for a spot in the house and a chance at a six-figure contract with the Ultimate Fighting Championship. TUF Brazil Episode 302 Mar 15, 2014 (44:12) The fights continue as potential TUF Brazil team members vie for their spot in the TUF house and a chance at the UFC contract. 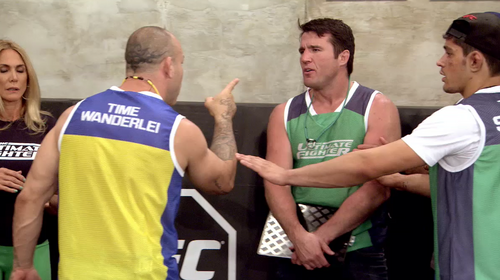 Also, tempers rise with Chael Sonnen and Wanderlei Silva as they prepare to pick teams. 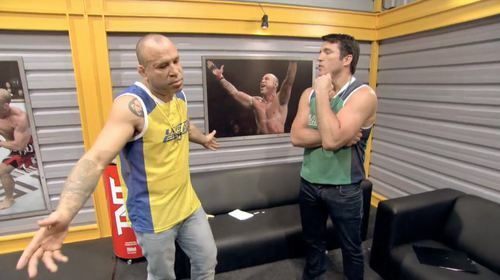 TUF Brazil Episode 303 Mar 23, 2014 (51:15) The roster is set but all things come to a halt when Wanderlei Silva demands an apology from rival coach Chael Sonnen. 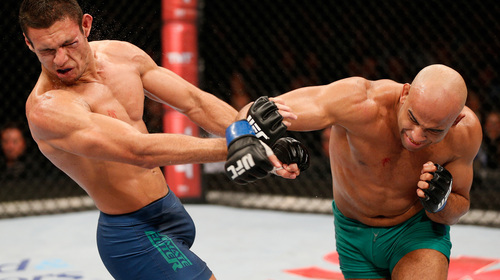 Teams are decided and the first fight of the tournament gets underway in this episode of The Ultimate Fighter: Brazil. 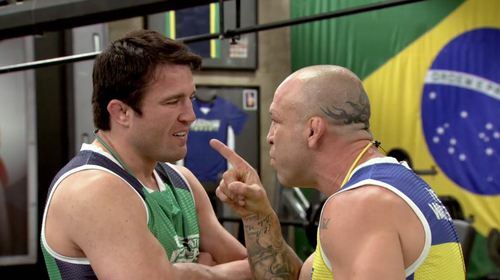 TUF Brazil Episode 304 Mar 31, 2014 (36:32) The rivalry continues as Chael Sonnen and Wanderlei Silva coach TUF Brazil. The fighters have now moved into the house, and training continues in an unconventional way with our assistant coaches. TUF Brazil Episode 305 Apr 7, 2014 (41:15) The two teams take to the beach for another team challenge and the 3rd fight of the tournament gets underway on this episode of The Ultimate Fighter: Brazil. 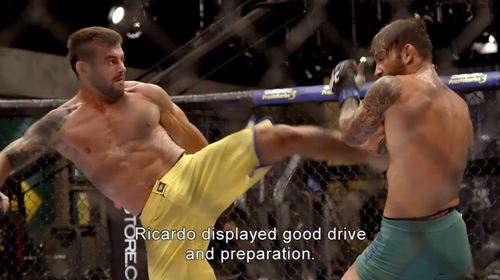 TUF Brazil Episode 306 Apr 13, 2014 (45:14) Tempers rise at the weigh-in for the bout between Richardson Moreira and Job Kleber, as Coach Silva and Coach Sonnen's rivalry comes to a head in a way never before seen on The Ultimate Fighter. TUF Brazil Episode 307 Apr 20, 2014 (48:52) Team Wanderlei leads the way in house fights, but the dramatic turn of events in episode six has left them one coach down. Former UFC champion, Mauricio "Shogun" Rua, steps in to assist. After the fifth bout of the season, the teams enter a challenge that involves a lot of plastic wrap. TUF Brazil Episode 308 Apr 27, 2014 (43:50) After winning yet another team challenge and securing the fight pick, coach Silva pits heavyweight friends and training partners Antonio Branjao and Vitor Miranda against one another, setting up an emotional showdown inside the Octagon. TUF Brazil Episode 309 May 4, 2014 (40:23) Chael Sonnen and Wanderlei Silva compete on the soccer pitch for a chance at $33,000 in this season's coaches challenge. Plus, in the highly anticipated last middleweight quarterfinal matchup, Warlley Alves from Team Sonnen squares off against Ismael de Jesus from Team Silva. TUF Brazil Episode 310 May 12, 2014 (46:35) The series heats up as the last semifinal spot is up for grabs when Marcos Pezao faces Jollyson Francino in a heavyweight battle. Then the coaches meet with Dana White to determine the matchups for the semifinal round. TUF Brazil Episode 311 May 18, 2014 (45:46) After coming back to tie the tournament, all momentum lies with Team Sonnen. The fighters select the finalists in the Octagon girl contest, then It's four versus four as the first bouts of the semi-final fights begin. 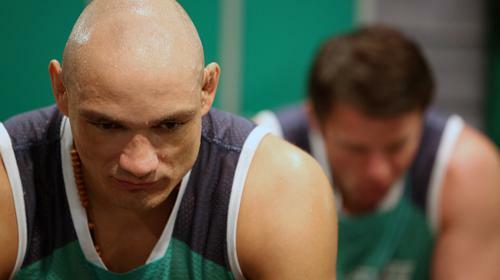 TUF Brazil Episode 312 May 25, 2014 (55:31) The final episode of The Ultimate Fighter: Brazil reveals the two finalists who will compete in the finale for the six-figure contract to the UFC. 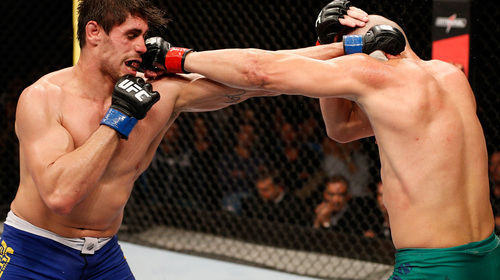 Antonio Carlos Junior vs. Vitor Miranda UFC Fight Night May 31, 2014 (26:30) Team Wanderlei?s sole representative in the Ultimate Fighter Brazil 3 finals, Antonio Carlos Junior is fighting not just for himself tonight, but for his team and coach. At 35, Team Sonnen?s Vitor Miranda has 11 years on his opponent, but three knockouts in three fights on TUF have shown the world that age is nothing but a number when you?re a fighter with dynamite in your fists and feet. Warlley Alves vs. Marcio Alexandre UFC Fight Night May 31, 2014 (24:01) A UFC contract is on the line as middleweights Warlley Alves and Marcio Alexandre Junior collide in the Ultimate Fighter Brazil 3 final.